The Airline Pilots Guild of Sri Lanka has accused the entire Board of Directors of SriLankan Airlines of violating company procedures and awarding CEO Capt. Suren Ratwatte, complimentary training and rating to the fly the Airbus 320 aircraft which is now costing the tax payer approximately US $ 50,000. In a hard hitting letter addressed to Capt. Rajind Ranatunga the Head of Flight Operations, the ALPGSL President Capt. Venura Perera, raised many questions regarding this unprecedented move taken by the Board of Directors. The submission of the letter triggered due to the interference caused by the CEO into his own ongoing training, is where he got down Ground School Instructors to his office at the World Trade Center to conduct theory lessons for him in private and more importantly hand picking Capt. Ranga Amadoru to be his Line Check Pilot for his initial Line Check Flight scheduled for 12th of July 2017. However the letter further elaborates as to how the Board of Directors have also violated company procedures in facilitating what the Pilots Guild deems as a scholarship granted to CEO Capt. Ratwatte. 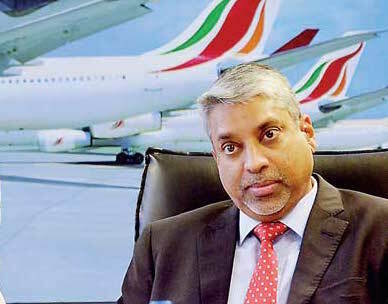 The Pilot Guild in their letter states: “At this juncture we wish to remind you that the CEO was accepted into the coveted Tech Crew cadre of SriLankan Airlines beyond protocol: without him having to face the rigorous intake procedure that all Captain’s face irrespective of their skills and expertise elsewhere. Needless to say the company has recruited many Captains with superior flying capabilities and better track records, all of whom have gone through this process as it is the accepted standard by the company. It is also noteworthy that the Tech Crew trained by the company is bonded or the trainee bears the training costs whereas this appears to be a scholarship offered to the CEO. In which case may we kindly know for what merit or on what grounds he has been offered such an opportunity? It would have been worthwhile and productive if this opportunity had been offered to a young pilot”‘. Meanwhile Colombo Telegraph reliably learns that prior to CEO hand picking Capt. Ranga Amadoru as his own Line Check Pilot, he had also handpicked two Ground Training Captains Pujitha Jayakody Jnr and Rakhitha Wijeratne. Further the CEO Capt. Ratwatte had also obtained the services of Capt. 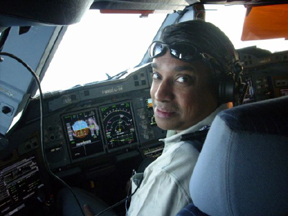 Mohan Pragasam to conduct his Simulator Training and Capt. Nimal Rambukwella to conduct his Simulator Check. As the CEO Capt. Ratwatte has not flown for the last two years it has been made mandatory that he completes the full conversion course to enable him to fly the smaller single aisle A320 aircraft. A member of the Pilots Guild speaking on condition of anonymity as he is barred from speaking to the media said “The entire Board of Directors has violated the mandate used in the recruitment of Pilots and for no value have wasted tax payers monies. Even the Non-Executive Directors Rajan Brito, Rakhita Jayawardena, H.C De Silva and H.K. Balapatabendi, who recently portrayed to be the good cops on the board, when they leaked a letter addressed to Chairman and copied it to the Secretary of the Ministry of Public Enterprise Development are also guilty in this case, as they collectively awarded this scholarship to the CEO. Will he be a productive flyer and complete the required minimum 70 to 80 flying hours per month? With no bond signed, how will the company recover the money spent on his training if in the event he quits his job or is fired tomorrow? He was recruited as a CEO and is being paid Rs 3.5 million a month according to what our Chairman Ajith Dias declared to the Cabinet Ministers. We need him to be making good operational decisions in his current capacity as the CEO and not be warming the cockpit seat. Is this the change we really wanted when we voted the Yahapalanaya government into power? I certainly dont think so”. However with many blatant flaws now exposed into how this scholarship has been accorded to the CEO and the manner of how the training has been conducted, it may necessitate the Ministry of Public Enterprise to conduct a thorough investigation as was similarly done when the former first son Namal Rajapksa was accused of cheating during the final Law College examinations. The letter sent in by the Pilots Guild also exposed the unethical and unacceptable behavior displayed by CEO Ratwatte as it read: “Do allow us to open your eyes to this clear abuse of power, again an unethical and unacceptable by anyone in an organization. An action that will certainly put our company’s reputation and the careers of many officials involved in jeopardy”. BIL Chairman & Kapila Chandrasena left off. What a tragedy. I have no idea why stupid Sri Lankans tolerate these things. I quit flying UL 15 years ago. I advise all others to follow suit. I do not trust the standards of this airline at all. Cheers! This airline is done.! It’s reputation is no more to move forward.it has caused a lot of damaged by politics involving and selfish people who are greed for reputation and money. Why are you blaming the CEO? Hold the chairman and board members responsible. CEO is a paid employee simply executing the policy decisions of the board. Jagath Fernando, Oh no! This CEO is part and parcel of the same rot. These are well connected looters of this impoverished, indebted nation. Disgusting. Cheers! Shows how privileged the Lankan privileged are!! It will take typical 1000 Lankan families to SAVE US$50,000/- in an year. Ratwatte gets this after a few minutes of board deliberations. On his next job application Ratwatte will claim that he was CEO of a national airline. Employers never check how badly the airline was run. What difference does it make? This regime, the one before that, and the one before it etc…..all of them have been giving themselves scholarships to the tune of millions, from the President an politicians down to top and high level managers that sign their blank cheques, and their families and to all the hangers-on to them families. It is now a basic characteristic of this political corrupt, sick nation, NVM the under privileged, the voters, tax payers that put these vermin politicians and them appointing these execs, it is all a big joke. There is a saying if you cannot beat them, join them. A cant run wont run airline retained for the game of sticks and stones and carting the ambude government elected by the botele and battha parcele. what to do lankewe like wont sell just stick to bad smell goo molle!! Appoint Hary Jayawardhana as Chairman. He will bring back this Airline to the same position where it was in 20 years ago. He was the only Chairman who were able to show the profit during the tenure of his office and able to pay double bonus to his employees. Does this comp have any reputation other than what has been evident for quite some time now? Abuse of power, corruption and outright robbing all of it flying free should be their slogan – a slogan well earned too.